Hey guys. I wanted to do something special for the remainder of the year, right through the holidays. I’m doing this because before I’m a D&D blogger, or anything else for that matter, I’m a dad to two beautiful and healthy kids. If there’s one thing that scares me in life is my kids being in any type of danger or pain, and nothing breaks my heart more than seeing poor kids suffering due to disease or hunger. 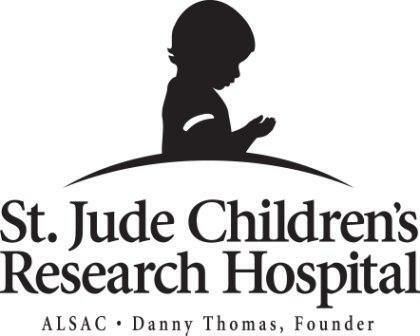 That’s why for the rest of the year I’m going to donate 10% of my profits from rpgKids to the St. Jude Children’s Research Hospital. Our vision is to be the world leader in advancing the treatment and prevention of catastrophic diseases in children. This vision will be pursued by providing outstanding patient care; by conducting basic, translational and clinical research designed to elucidate biological mechanisms, understand disease pathogenesis, improve diagnosis, enhance treatment outcome, prevent diseases and minimize adverse consequences of treatment; and by educating health care and scientific research professionals. Through these efforts we seek to cure and enhance the quality of life for an increasing proportion of children who come to us for treatment, and by expanding and sharing knowledge, to advance treatment of children with catastrophic diseases worldwide, while developing strategies to prevent catastrophic diseases in children. If you’ve ever seen their TV commercials, then you’ve probably been touched by those images. No kid should die of cancer, that just isn’t right. rpgKids is very cheap, and because of that I probably won’t be able to generate as much as I’d like for St. Jude’s through this, but I’m willing to try do my part for the holidays in these tough times. Christmas, kids, and cancer just don’t mix. St. Jude’s also has a donation page here, in case you want to give directly to them and bypass buying the game. Super cool EB – just added to our Facebook feed for Nevermet Press to let our fans know. Very kewl!